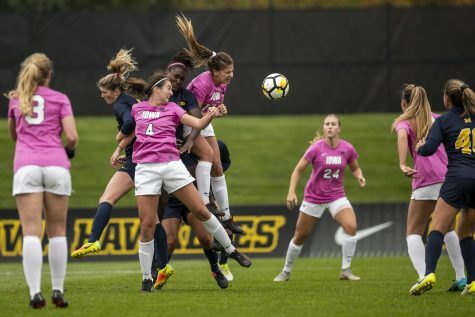 Although the Iowa soccer team is only two games into its season, the team’s game plan is becoming clear to many: win with defense. 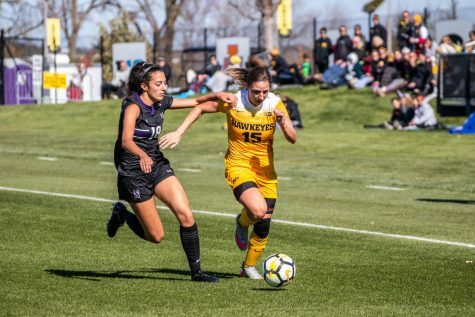 Iowa has allowed 14 shots over the course of two games — 8 against Pacific and 6 against Nebraska-Omaha — which is just one more than its average allowed per game last season. 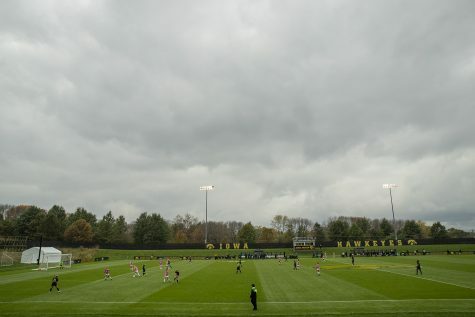 Fortunately for the Hawkeyes, the defense is filled with plenty of Division I experience. 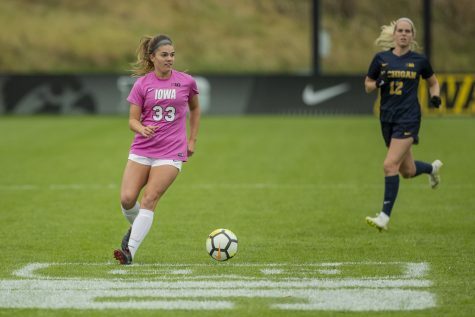 Corey Burns and Amanda Lulek, both juniors, have combined to start 54 games throughout their first two years as Hawkeyes. Junior transfer Rachele Armand has also seen some game time in the ACC at Louisville before injuring herself and missing her sophomore year. 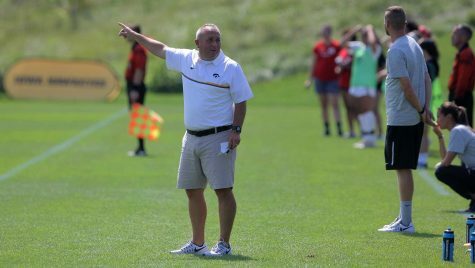 In order to come together as a complete defense, Burns and Lulek have taken up the responsibility of showing the freshmen — such as Seying — the ins and outs of the team. The focus for the upperclassmen has been making the younger ones feel welcome by building the players up. Burns and Lulek have made a conscious effort to not only help mold the younger players into athletes who will make a difference on the field but to make Armand feel comfortable on the team as well. 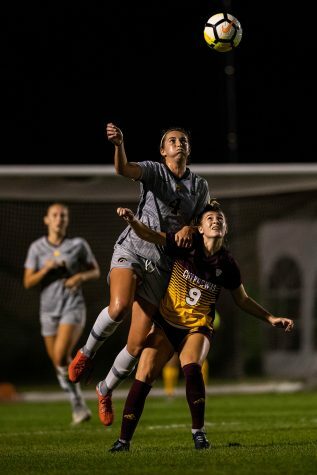 Both games also happened to be shutouts (1-0, 4-0, respectively), which is not only a credit to the defensive line but to senior goalkeeper Hannah Clark as well. Clark, who was the only captain named by DiIanni for this season, has tallied 8 saves so far. 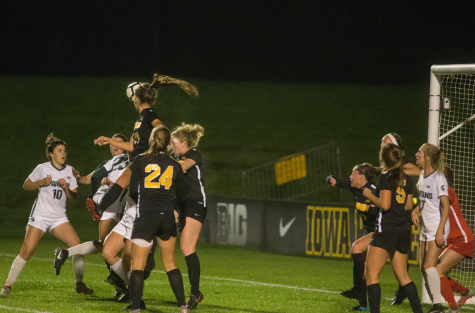 In 2014, Clark was tied for fourth in the Big Ten for saves and third in save percentage. DiIanni said she is not willing to settle for that this year. 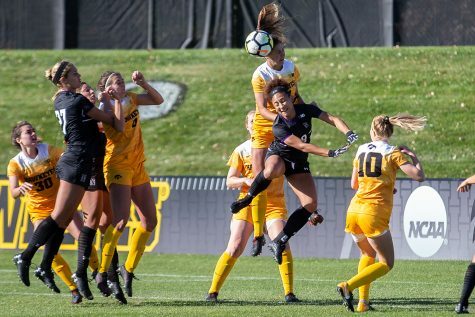 Clark has put in work over the off-season to prove herself not only to her coach and teammates but other teams and coaches as well in order to make those aspirations a reality. 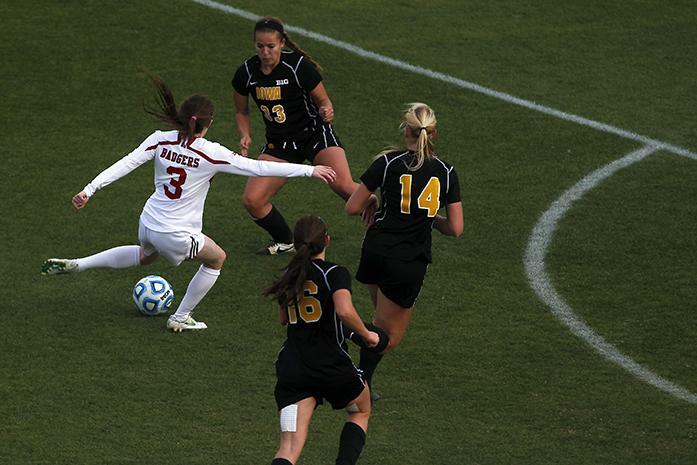 However, she did not hesitate to give credit where credit is due to other Hawkeyes.